ULM, a vibrant community designed around you! Students have the opportunity to join a variety of campus organizations such as the Student Government Association and Campus Activities Board. Students can get involved in Greek organizations, intramural sports, spirit groups and work study programs. 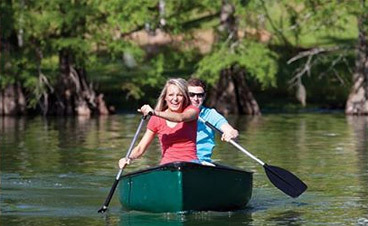 Kayak on the bayou, attend a concert, or cheer on the Warhawks as they take the field. Residential Life offers a blend of housing options including apartments, suites, and traditional residence halls. Our Dining Services offer a variety of menu options, meal plans and dining locations. Options include Chick-fil-A, Starbucks, Subway and much more, while the convenient Schulze Dining Hall offers "all you care to eat" cuisine. 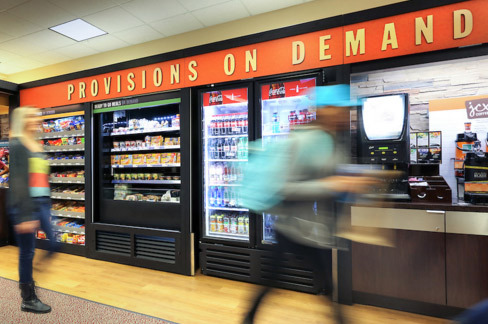 For even more convenience, check out the "Provisions On Demand" inside the library, it's a quick and fresh dining alternative. The ULM Bookstore is now in its recently renovated location, it's a great place to pickup your Warhawk gear! Whether you're taking time to exercise or getting a little help with your studies, ULM has programs and facilities focused on the student. The ULM Activity Center hosts group exercise programs, wellness programs, exercise facilities, an indoor track, basketball & racquetball courts, and much more. For help with your studies, check out the Student Success Center! The Clarke M. Williams Student Success Center offers academic advising, tutoring, supplemental instruction, as well as being home to our Peer Leader program. The computer lab in the "SSC" is a great place to get help or just work on your next assignment. For other wellness needs, our Health Clinic and Counseling Center offers healthcare services right here on campus. being part of a great university!